parentwin: Thirty One Bags - Giveaway! Remember when I wrote about purses? How big they have to be, how messy they get (both inside and out? ), how much they have to carry and how ugly they can be? Here's a better summary from another one of my friends who I didn't even know was a consultant...Thanks, Becky! "Just FYI, this particular bag is a touch too big for a diaper bag, but it's fantastic as a trunk organizer, beach tote, or even portable toy box. And, this is actually the hostess special for the month - if you host a part you can buy this bag for a discount. 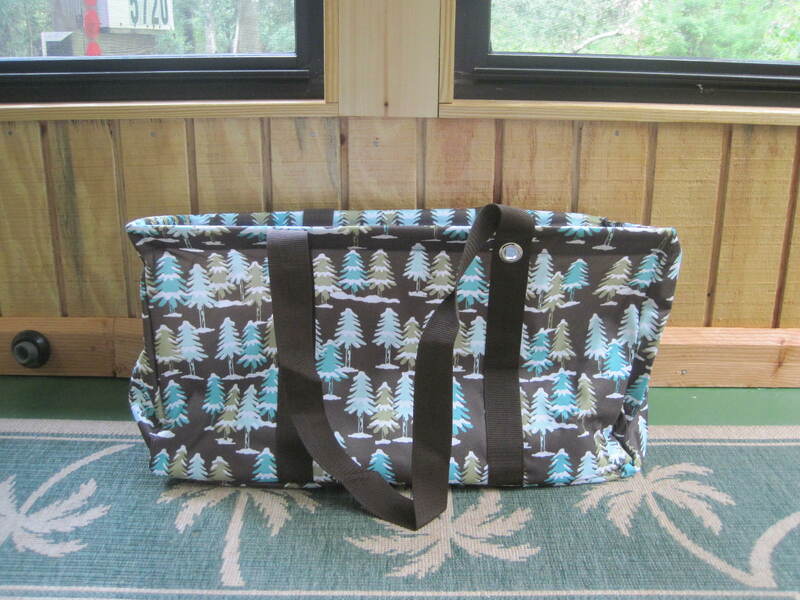 The customer special is the Organizing Utility Tote ($25.00 value) at a discounted price, which makes a phenomenal diaper/beach/pool bag and a really awesome everyday to-and-from work bag. Good luck everyone, and congrats to the winner - hopefully you'll LOVE these products as much as I (and many others) do!" 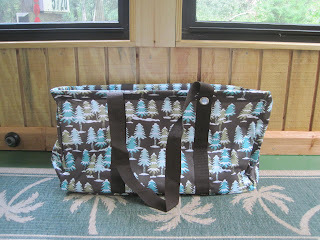 The bag will look like this, and comes in ten different patterns! It's got a retail value of $30, but it's an October Special, for hostesses. Thirty One has a ton of other bags, totes and organizers, too, if you'd like to check them out to find one for your specific needs. I don't really know how these party-throwing, buy-stuff-from-a-friend thing works, but from what I understand, if you're totally into it, you can book a party through Lorraine, or become a consultant yourself. Anyway, it's easy to enter to win this tote. Leave me a comment for each different follow for another entry. If you already follow me and still want to win the tote, don't worry! Just advertise this giveaway on your facebook, twitter, or blog and leave a comment here with the link! I'll draw the winner next Friday! Don't forget to check out all their other stuff, too. They've got some really cute designs! PS - I advertised this at Online Sweepstakes, as well. Just FYI, this particular bag is a touch too big for a diaper bag, but it's fantastic as a trunk organizer, beach tote, or even portable toy box. And, this is actually the hostess special for the month - if you host a part you can buy this bag for a discount. The customer special is the Organizing Utility Tote ($25.00 value) at a discounted price, which makes a phenomenal diaper/beach/pool bag and a really awesome everyday to-and-from work bag. Good luck everyone, and congrats to the winner - hopefully you'll LOVE these products as much as I (and many others) do! i like you on twitter as @mercedesmy! I like you on FB as Laura Knudsen. I follow Parentwin on Twitter as FrugalAKMom.